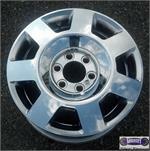 3596, USED RIM, 18X8, 6 LUG, 135MM, 05-06, LINCOLN, NAVIGATOR, CHROME PLATED, 7 SPOKE. 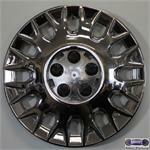 7037, Hubcaps used, 16", 03-07, MERC, Grand Marquis, CHROME PLATED, 12 Y spoke, THREADED LUG CAPS, CENTER SOLD SEPARATE. 7037, Hubcaps used, 16", 03-07, MERC, Grand Marquis, CHROME PLATED, 12 Y spoke, HAS THREADED LUG CAPS, CENTER SOLD SEPARATE. TEST FIT CENTER MAY BE DIFFERENT.